Trust Garage Door has achieved excellence with persistent efforts and has achieved popularity after delivering quality services for over a decade. Today, we are one of the most coveted commercial garage door service providers. We have served umpteen clients, offices, commercial spaces, business clients and industries. Industry knowledge gained over time and practical on-site experience are the key components driving excellence in our services. Not only do we deliver on time but we also make sure that we match up to business standards and benchmark our services to international standards. 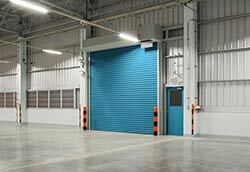 Commercial garage doors are a different segment from popular residential garage doors. Commercial doors are used more than residential doors and also have a higher tendency to go through wear and tear. Our specialty garage doors are customized to fulfill commercial needs. 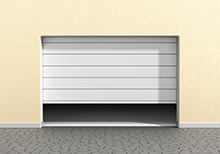 Businesses are busy and definitely don’t have the time to look into the maintenance of the garage doors often. We offer regular checks and upgrades for doors and openers. While our team helps ensure a longer life for the garage door and its components they consult on newer technologies and new design from time-to-time. Our team specializing in commercial garage doors is quick to arrive and make sure an immediate resolution is delivered to bail the client out of any situation, say a, broken garage spring or maybe a snapped chain drive that can cause interruption to the opening and closing of the garage. We value your time and hence we make sure that we resolve the issue in a short span! Our aim is to install commercial garage doors that will last a longer time and require minimum maintenance to ensure regular and uninterrupted utility. We make sure we use the best quality products adhering to international standards. Be it, a simple garage door replacement or a spring replacement, we do it with much ease with the least inconvenience to our valued clients. So call Trust Garage Door if you need to get a garage door installed at your commercial setup in Nashville, TN area!